The only thing better than exploring a mysterious world of soft n’ squishy adventure is having a friend to explore with! 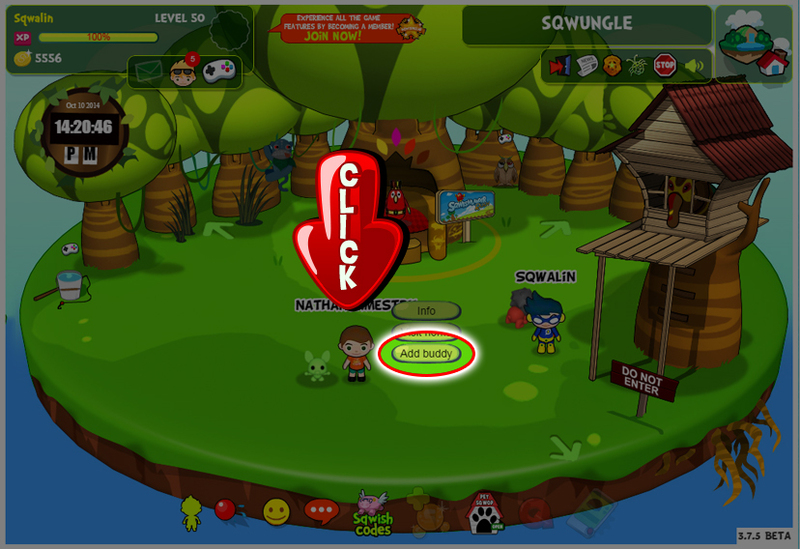 When you see another player walking around, send them a friendly message and try clicking on their SqwAvatar! This will pull up a menu that lets you visit their home, or Add them as a Buddy! You’re sure to make lots of Buddies as you travel and explore the world of SqwishLand!